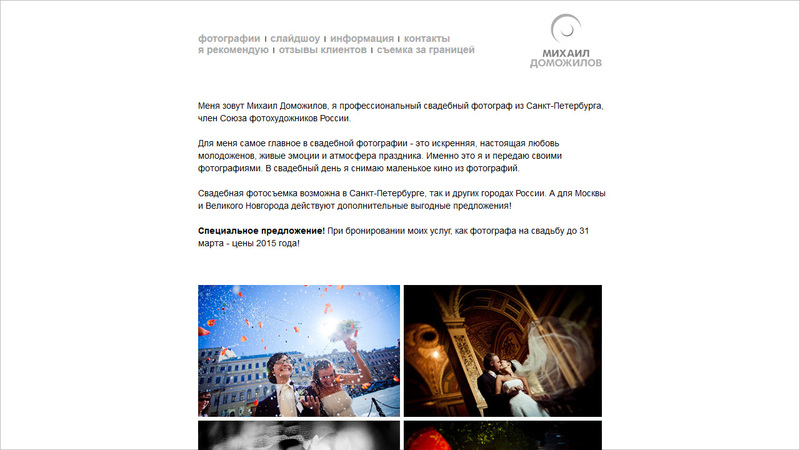 Additional website for Mikhail Domozhilov from Saint-Petersburg, and it is about his main sphere of action — wedding photography. The customer’s main requirement was to totally refuse any wedding stuff in website’s design. But then the customer gave a new requirement: no flowers, no rings, no any other wedding stuff. And to forget at all that this is a wedding website.